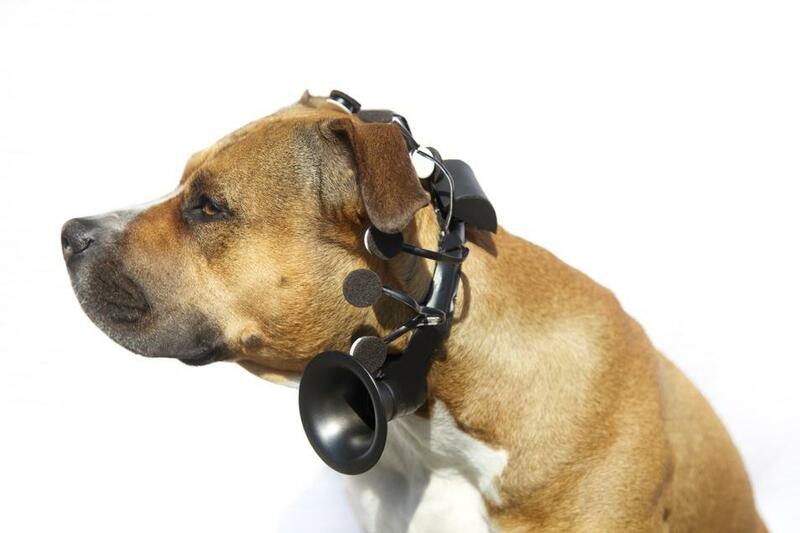 A dog thought-to-speech device! The future! Technology! Hip Scandinavians! A thing that translates your dog’s thoughts into people-speak! Open up your check-book and post-date one for The Future! But wait. Isn’t there something missing in the promotional video? Something important? “What I saw in their video can’t work,” says Bruce Luber, associate professor of psychiatry and behavioral sciences at Duke University. Luber specializes in brain stimulation and neurophysiology, trying to do, in some sense, what the people in this video (the Nordic Society for Invention and Discovery) are trying to do: translate what’s happening in the brain directly to behavior. But Luber says it’s not that simple: “We can’t instantaneously tell very much”. Some feelings are relatively easy to determine (and this applies to humans as well as animals). Phases of sleep, for example, can maybe be determined with only a few scalp electrodes attached to the head. (Although the animal might have to actually be falling asleep for that to be detected.) Feelings like hunger happen deep in the brain–physically deep, as in well below the surface. “You can’t detect hunger, at least as we know it right now, with EEG”. Teleportation, Being, Space. Being a wizard.